At the upcoming FashionTech Conference in Berlin and the Fashion Week in Amsterdam, fashion designer and start-up Jasna Rok will present their “Fashion On Brainwaves” to the public. Part of the collection is based on smart plastics and smart textiles developed at CMST, an imec-associated lab at Ghent University. 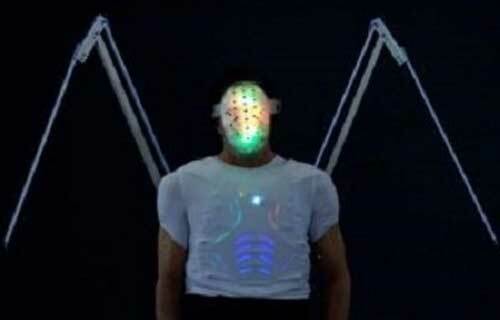 Using this state-of-the-art technology, the designers created clothing and masks that light up with color and animation depending on the wearer’s brain activity.